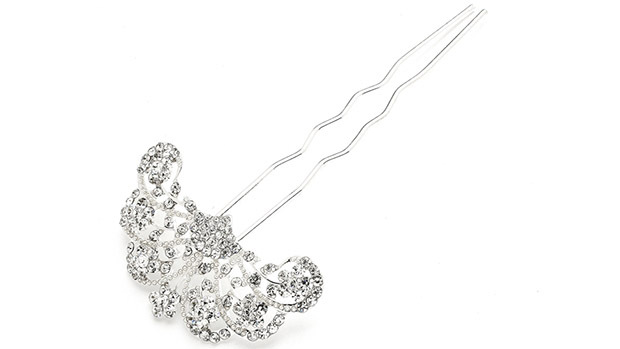 * This silver hair pin will make you feel like you've stepped right out of the Roaring 20s. * The crystal fan design measures 2 1/4" w x 1" w on a 3 3/4" stick. * Perfect for a vintage style wedding, a prom, or mother of the bride!